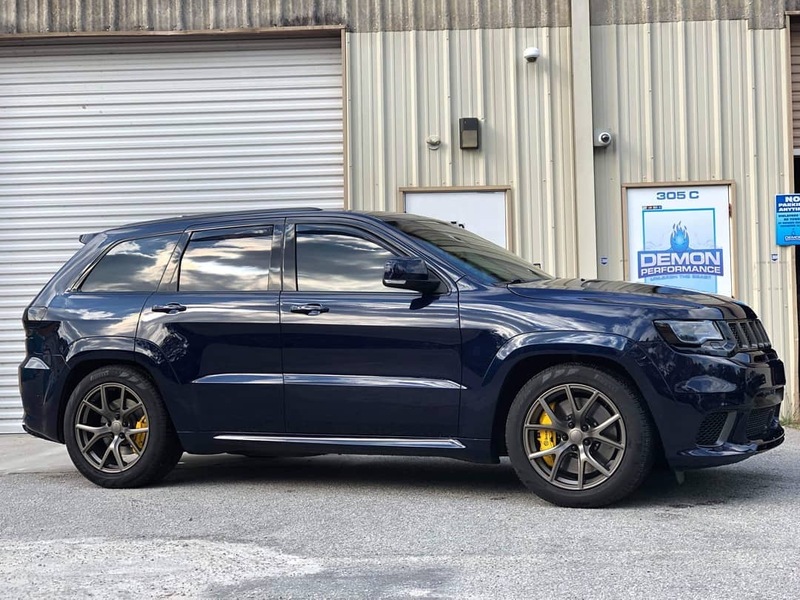 Jeep TrackHawk Forum > 2018+ Jeep Trackhawk Tech Section > Jeep Trackhawk Exterior > Trackhawk Emblem/Badge Color - Liquid Titanium? I'm wondering if anyone else has painted Hellcat or other emblems/badges to color match the existing "Liquid Titanium" Trackhawk supercharged/trackhawk emblems and the grill rings (upper and lower)? If so, what paint color code did you use? I removed the Grand Cherokee emblems off the sides (but left the supercharged), and added the 2018 Widebody Fender Badges (68320440AA and 68320441AA) to my Trackhawk, but the color is different, and it's driving me nuts. I'm thinking I will pull them off, paint them, and then reapply them using 3M trim/badge adhesive. Any thoughts, suggestions, or ideas are welcomed. I am thinking about debadging the sides but leaving the rear Trackhawk emblem. I might try to color match the wheels to the hood bezels. Anyone know the paint code for the hood bezels? They don't match because you don't have a wide body. can you send a pick of the badges on the sides of your T-Hawk, I want to see what they look like. Question- how do the grill rings remove, and how do the lower rings remove in the lower Grill. I want to paint them Gloss black to match the rear end black around our muffler. Any insight on this is appreciated. Thanks. I understand that...as I mentioned, I'm looking for the paint code so that I can paint them to match. I initially didn't think the contrast in color would bother me...but it does, so now I want them to match. Went to a local body shop, and they are going to either custom mix paint to match (remove the badges, paint, and reapply)...but he says he might be able to find the paint code for the emblems, so if he does, I'll be happy to share that with anyone who needs it in the future. For sure, I'll take a pic and post it once it done. 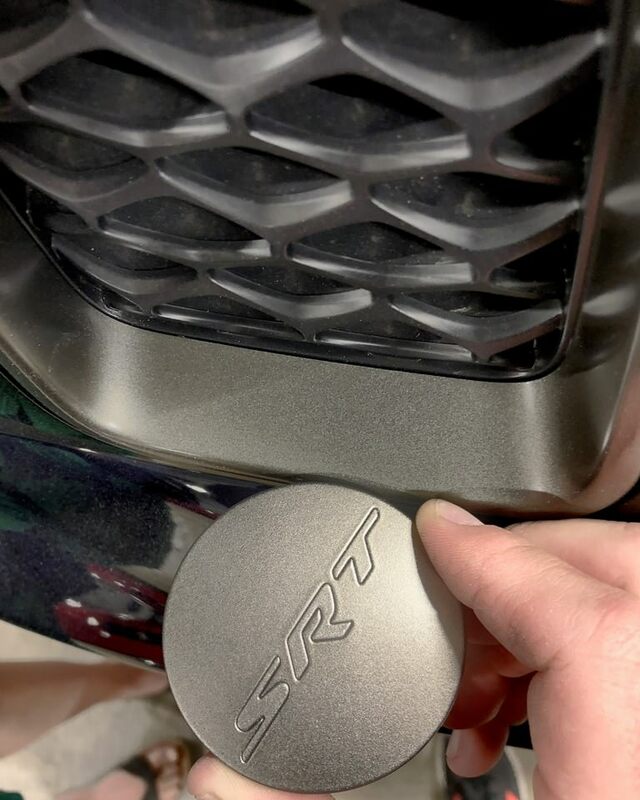 For the grill rings, I think they come out the same as the SRTs...there are a few videos out there that show that process (I replaced them no issues on my 2016 SRT)...for the lowers, my understanding is that they are more trouble than they are worth to remove/replace...so most just plasti-dip them...but perhaps that might be different for the Trackhawk. I sent you a message with a link to a website that talks a bit about this. Unfortunately the paint shop did a custom match and never would supply a paint code / tinting specs. I'm really happy with how they turned out in the end, the work is great but not too happy with the attitude of the guys at the shop I dealt with. 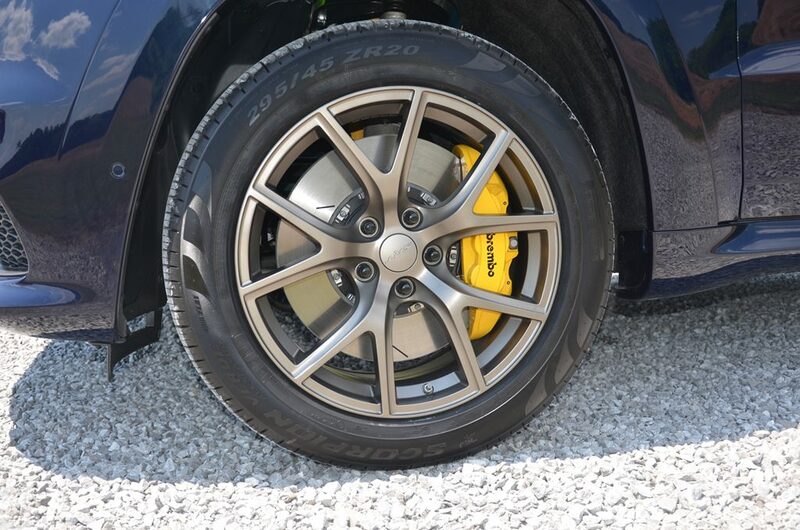 Only thing they DID say was that they STARTED with an Acura paint color "Gilded Pewter Metallic" (YR-596M) and darkened it up (quite a bit) from there. Sorry not more help but I still wanted to post to say that matching it IS possible so good luck!!! Awesome! Thanks man! This is great info...and it looks amazing! wow - that looks perfect! Do they sell black gloss grill rings or do I have to send to the paint shop for this? Please advise.